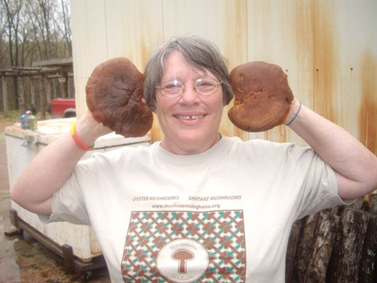 Lost Creek Mushroom Farm’s Shiitake Mama suggests holiday gift mushroom growing kits, natural logs for every pocketbook, as fun, unique DIY gifts for gardeners, nature lovers and fungiphiles: Mushroom lovers, cooks and vegetarians. DIY mushroom growing kits bring out the creative, care-taking genes in people, especially those who appreciate the magic of the natural world. 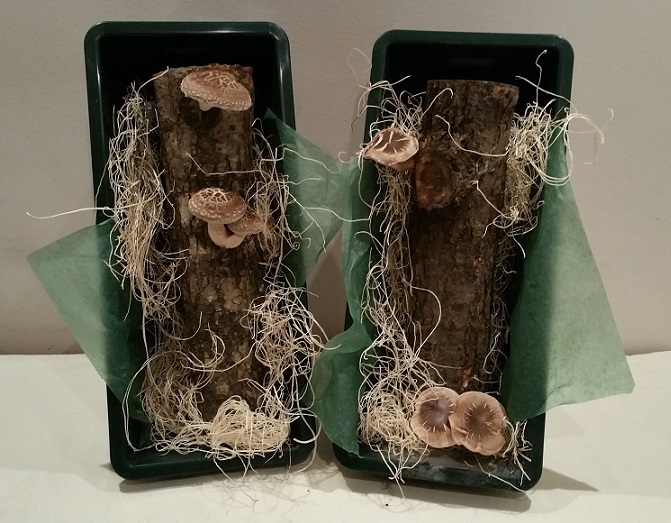 Lost Creek Mushroom Farm gift-log kits for mushroom lovers, cooks, vegetarians, gardeners, and nature lovers sell from $20-$90, including shipping. “DIY growing kits bring out the creative, care-taking genes in people, especially those who appreciate the magic of the natural world,” she said. The logs are hardwoods such as oak grown in the heart of the US. In the winter the mushroom seed, called spawn, is inserted by hand into oak and other hardwood logs (see how they do it here). It takes about 9 months at the farm for the logs to “fruit” for the first time. As they mature, more shiitakes pop out with each fruiting. 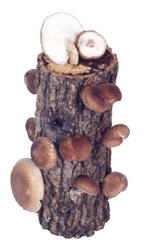 “Lost Creek Mushroom Farm logs come ready to fruit (we guarantee it) and can grow shiitakes within 6-10 days of soaking in non-chlorinated ice water. They'll grow mushrooms about every two months for years with bigger crops each time. 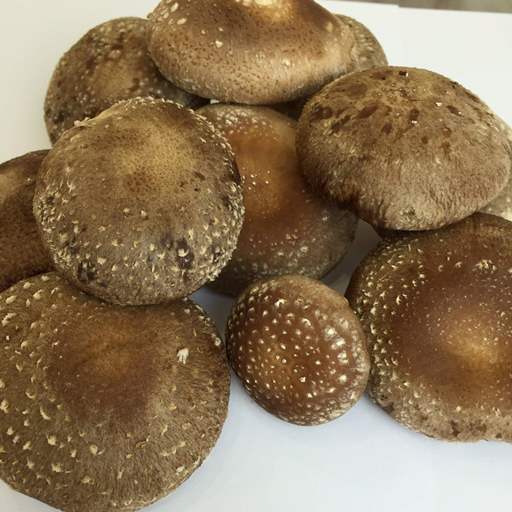 After two years, harvests taper off,” Shiitake Mama explained. All kits include instructions and a recipe booklet. Kits over 9 inches are guaranteed to grow shiitakes. Prices include shipping. Kits start at $20 for the 6-inch Baby ‘Shroomie, “a cute, coffee-table conversation piece, small-apartment size, easy to fruit and take care of.” Photos of the larger kits are in this short video. The 10-inch Shiitake Mama sells for $33 and the 12-inch Big Boy for $38. Lost Creek Mushroom Farm’s 14-inch Shiitake Tree in a Tray comes with its own terra-cotta colored soaking tray and a humidity bag for $49.95. The Ma & Pa Kit has two 10-inch logs. “When you have two logs, you can alternate the fruiting log and have fresh shiitakes every month, or you can fruit them together for a more-than-double harvest because, like us, they do better together,” Shiitake Mama said. 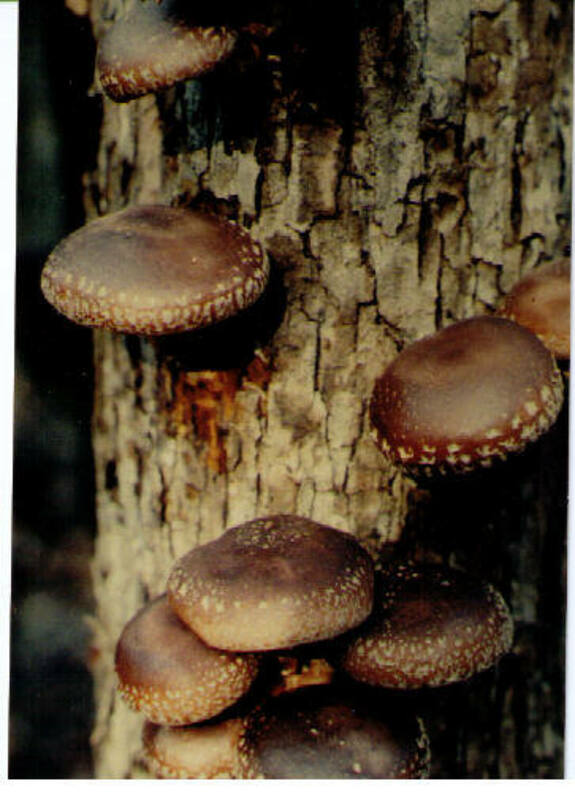 For cooks and gourmets Shiitake Mama recommends The Shiitake Sampler, a homey little cookbook by Janet Bratkovitch with 51 kitchen-tested recipes, $10.95; or $8.95 when shipped with a log. Order online at ShiitakeMushroomLog.com, by phone at 800-792-0053, or on Amazon.com.